Welcome to the May 2017 issue of the CreositySpace newsletter, our next step towards creating what we hope will be a dynamic STEM community between entrepreneurs, corporate catalysts, kids, educators, and parents. We'll be sending out our newsletter every couple months or so, highlighting a new entrepreneur partner, simple STEM projects you can do at home or in the classroom, a kids' corner, and of course the latest news from CreositySpace! For more information on what we're doing or new products we're offering, please visit our website at www.CreositySpace.com . Expanding Your Horizons STEM Conference: On March 24, 2017, CreositySpace participated in the Expanding Your Horizons (EHY) conference held at Highline College in Des Moines, Washington. The conference connected 550 middle school girls with female STEM role models through small group programs and activities. Over 40 girls participated in the CreositySpace-led workshop, Turn your Idea into a Business, where girls worked in teams of 4 to create a product and marketing approach to address a common challenge question. Interested in finding an EHY conference near you? Check out their webpage. CreositySpace Shout-Out in GeekWire! On May 9 CreositySpace hit the stage with 7 other female-founded companies to pitch at the inaugural Seattle Female Founder Alliance Showcase. Check out what GeekWire had to say about the event here. 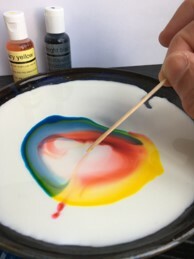 Drip 1 drop of each color of food coloring into the center of the plate of milk. 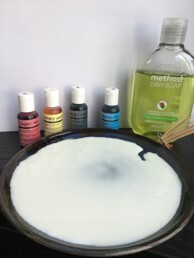 Put the liquid soap on the toothpick. Dip the toothpick into different places in the plate. - Why do you think this happens? 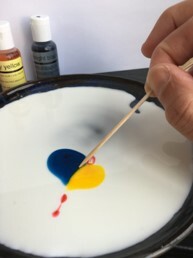 - What happens if you change the milk to a different liquid? Still wondering what's going on? Check out our STEM-At-Home page for an explanation, more pictures & videos, and a mini-Notebook for the activity! Did you know that whales evolved from animals that walked on land? They were called Pakicetus. Pakicetus had four legs, a tail and sharp teeth. They looked nothing like whales! We know they’re related because a bone in the Pakicetus skull is like the ear bone of a whale. Evolution is interesting to me because animals change over millions of years into something completely different and new. For previous Kids’ Corner article check out our archives. CreositySpace welcomes Chordata Quads to the CS community. Chordata Quads is focused on designing “first person viewer” racing drones and mini-quads using renewable composites (like recycled fiberglass) that are stronger and lighter than the competition. Chad and Alex have developed new composite materials, that Alex makes in Tennessee, while Chad designs the drones and software in Washington. 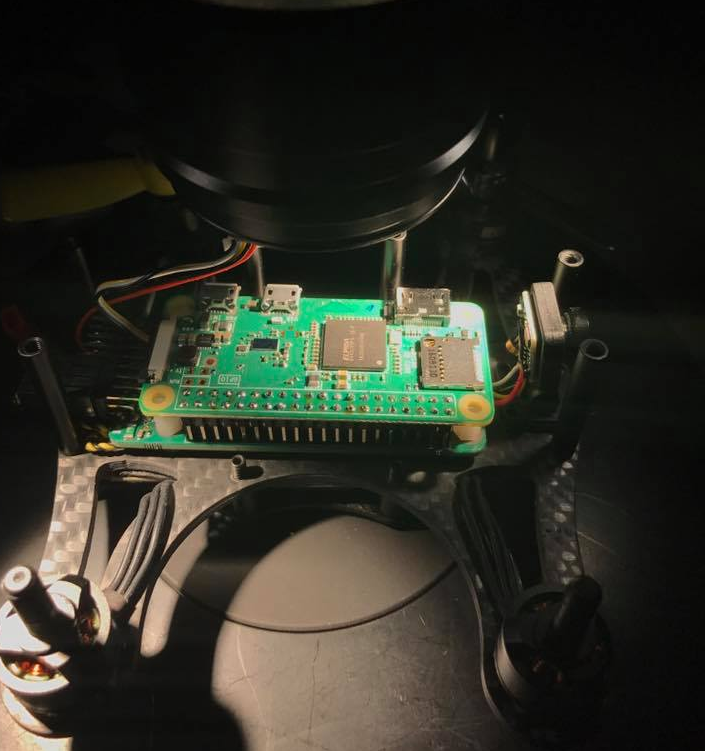 They have a number of different models in the pipeline including a product line of drones that will be able to communicate with each other and perform functions as a team. 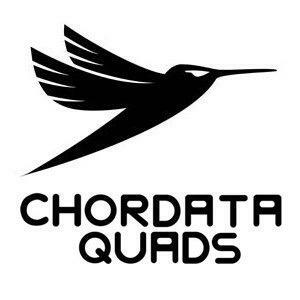 To learn more about Chordata Quads and their drone technology check them out on twitter @ChordataQuads. Interested in other technology highlights? Check out our archives.